Conscientiously: Little undocumented piles of life. Little undocumented piles of life. I love puzzles. I love the feeling of helplessness as I first start to take the pieces out of the box. As I look at 1000's of little pieces seemingly the same shades of colour my mind clicks into organizational mode. I immediately begin to separate the end pieces from the others while randomly putting pieces of the same color or character into separate little piles. But, if I were to break my days down into moments of little piles, I would see unlimited little tasks completed (most of which would not have been on my to-do list). I give a hug here or there, receive a hug here or there, clean a face, check email, maybe clip some nails, pet an animal, balance the books, cuddle, giggle, laugh, and just plain love. Little neat piles of life that pass by so quickly that if I didn’t take time to think about them, all those tiny undocumented piles of life, I would end many days frustrated or overwhelmed. 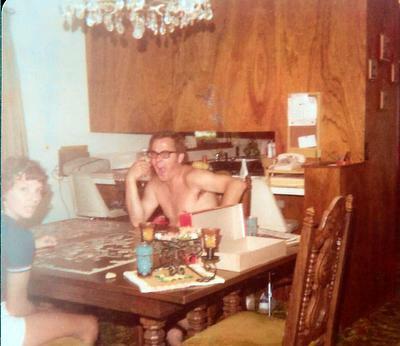 My love of puzzles came from my dad, a puzzle crazy man who kept them in constant motion on our dining room table. Night after night family members would slowly make the picture magically appear piece by piece. Many times in silence, but other times joking around and talking while meticulously looking for that one piece that fits just right. Recently my cousins, John and Helena came to visit me bringing with them donated items from family and friends. To my joy amongst the items were some 1000+ piece puzzles! A few years ago we put together a large puzzle in the playroom and it attracted the attention of a few kids, but this time there was more participation. As I taught them what I learned so many years ago from my dad, the puzzle started taking shape. Thoughts of dad came easily in and out of my mind. Little memories I had forgotten or not thought about in a while. It never failed though, once I was on a roll with a particular pile of pieces, some child would scoot on over and start to 'help'. Arms looping over and under mine, a head in my way, pieces falling on the floor. This happened over and over and then the 'Mommy look, LOOK! I put one in' became the tune of the day. "You don't have to show me every piece you put in", I said and "These are my pieces, here put these other ones together" as I motioned to some pieces an arms length away from me. I realized I was repeating words that had been said to me many times decades before. I remembered how sitting next to my dad in the stillness of the house made me feel so safe and loved. And knowing my desire to 'help' dad, wasn't to annoy him, but instead to be just a little closer to him, I became more unprotected of my stash. Some of the kids asked me why I like to put the puzzle together and I said because I used to do them with my father and when I do puzzles, I think of him. One little girl said she doesn't remember her father, but then said "oh, now my mama teach me to do puzzles". All the stress, complication, helplessness I sometimes feel blows away with just a few innocent words. A feeling that even if I don't complete even one scheduled task, I have the ability to turn a child's former scattering of pieces of nothingness into new little piles of a life worth living. And I have the pure joy of watching it unfold time and again right before my eyes.